The staff at Aura Dental Centre believes that prevention is always better than cure. If problems are detected early, treatment can be much more affordable and less invasive. Having regular six-monthly dental checks is the key to providing affordable dental care for anyone over the age of two. 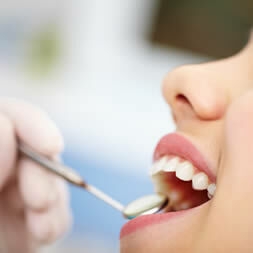 At each check-up the dentist will examine your mouth, teeth and gums. You will also be asked about your general health and if you have any mouth or teeth-related problems since your last visit.